Proud poppa moment. Kyle noticed that I was getting copies of my book ready to mail this past weekend. 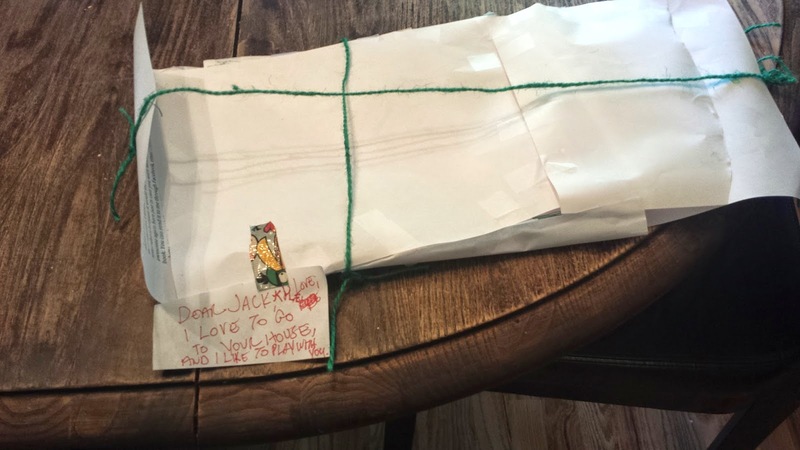 He decided to write his own book to his best buddy Jack and packaged it all up with a nice note to his friend. I love my son. He is awesome. Oh bless him. 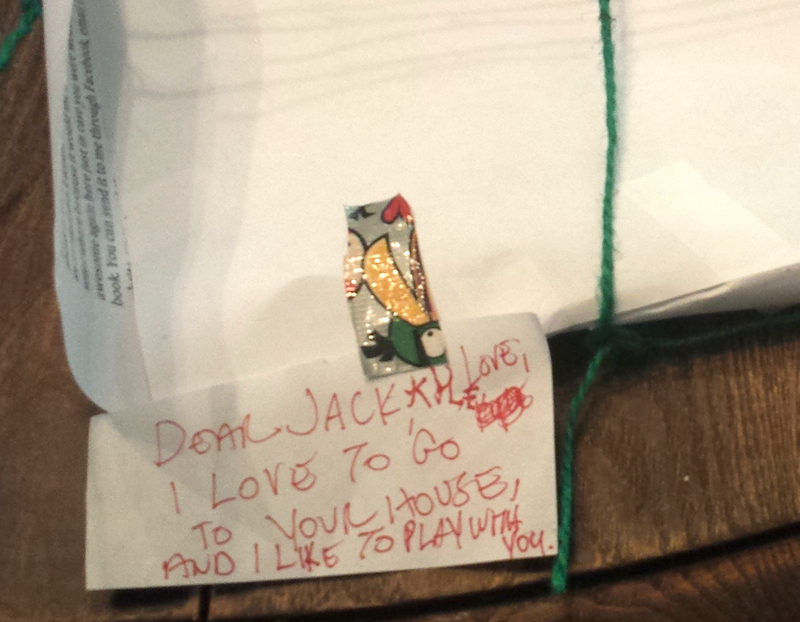 Who knows, writing could run in the family - a sort of hand-me-down talent.